Flying cars are more down to earth than ever – at least, in that their physical design is moving closer to something resembling a car. The AeroMobil 5th generation all-electric VTOL (vertical take-off and landing) concept is no exception, with styling that makes it look sort of like a near-future SUV or crossover, with a wide nose but a sleek, low design that suggests sporty performance. The AeroMobil 5.0 VTOL joins the previously revealed 4.0 STOL (short take-off and landing) vehicle that the company showed off last year. The plan is to put both models into service, with the STOL handling short hops between cities, while this 5.0 vehicle would get people around within metropolitan environments, since they’re more flexible in terms of take-off and landing spots. Both are capable of both flying and driving, depending on the needs of the situation, and the VTOL has the advantage of being able to use existing infrastructure to begin and end its aerial trips, since it can take off without any runway at all. When it’s time to take to the skies, the wings extend out from the sides of the vehicles, and two larger rotors provide upward propulsion. A rear-mounted propeller at the back of the vehicle then pushes the vehicle through the air. This air/ground craft has four seats, which is more than many of the VTOL concepts being shopped for service, including the functional prototype Kitty Hawk just revealed that’s going into pre-service testing in New Zealand. 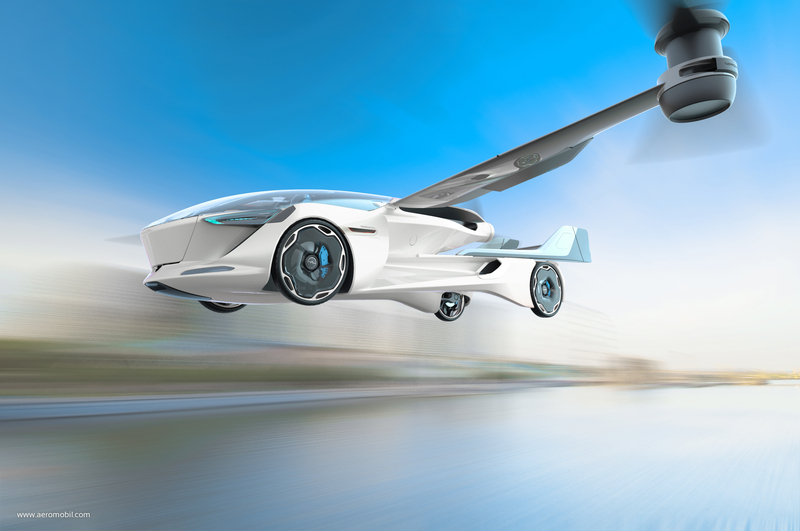 AeroMobil’s rollout plan is very different, however – it’s hoping to sell the 5.0 VTOL to private owners in a limited series starting in 2020. I guess you’ll own both a 4.0 STOL and a 5.0 VTOL, the former for the country and the latter for the city. Enjoy the skies, you fabulously wealthy people. I’ll be here, on the filthy ground.